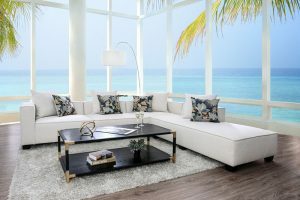 Finding the right furniture to fit your space can be a challenge. Modular sofas allow you flexibility in both shape and size so that you can customize them to fit your needs. 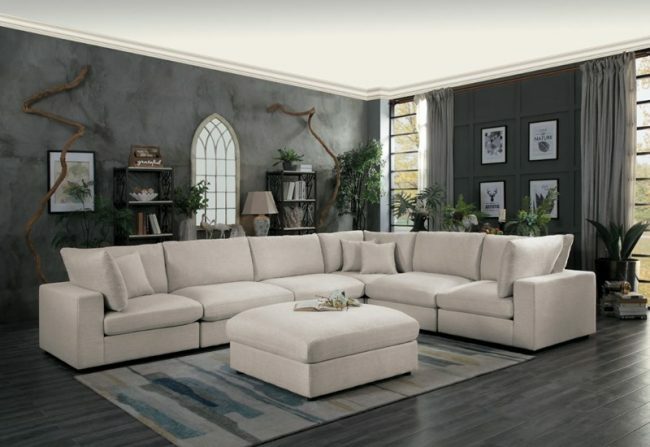 The Casoria Sectional from Homelegance is a perfect example of a modular sofa. Arrange the corner seats and armless chairs in the way that works best for your room. 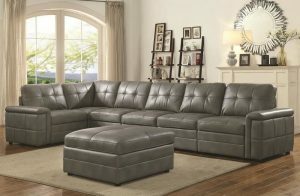 Additional corner seats and armless chairs, as well as an ottoman, can be added if desired. 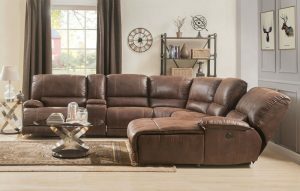 This sectional features plush seating with gel-infused memory foam and feather down blend cushions, and both seat and back cushions are reversible. The light grey fabric offers versatility and provides a clean, fresh look to your room. Accent pillows are included.